Silicon supply affects the root transcriptome of Brassica napus L.
Modulation of gene expression in roots of Brassica napus by silicon (Si) supply could allow plants to cope with future stresses. The origin of the beneficial effects of silicon (Si) in plants, especially when they are subject to stress, remains poorly understood. Some authors have shown that Si alleviates plant stress and consider that this is mainly due to a mechanical effect on the cell wall. In addition, the other studies have shown that Si can also affect gene expression and modulate a number of metabolic pathways, especially in plants cultivated under stress conditions. Previously, Haddad et al. (Front Plant Sci 9:5–16, 2018) showed that a pretreatment of Brassica napus plants with Si (1.7 mM) for 1 week alleviated the stress induced by N privation. 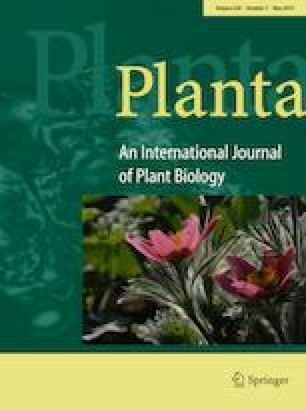 These results suggest that this improved resistance in Si-treated plants might be due to the establishment of defense mechanisms prior to exposure to the N stress. The aim of the current work was to test this assumption in Brassica napus roots (where Si is mainly stored) using a transcriptomic approach via the RNA sequencing. Our results indicated that the Si supply leads to a modulation of the expression of genes in Brassica napus roots. Functional categorization of the differentially expressed genes demonstrated that numerous genes are involved in different metabolic pathways and especially in cell wall synthesis, phytohormone metabolism, and stress responses. All these results show that Si modifies the root metabolism of B. napus, which could allow a better adaptation to future stresses. Cylia Haddad, Jacques Trouverie, Philippe Laîné, and Philippe Etienne have equally contributed to this work. The online version of this article ( https://doi.org/10.1007/s00425-019-03120-7) contains supplementary material, which is available to authorized users. This research was partially supported by FEDER (Fonds Européen De Développement Economique Régional). The authors thank Laurence Cantrill for improving the English in the manuscript. For achievement of RNAseq, the authors are grateful to the POPS Transcriptomic Platform, which has benefitted from a French State grant (ANR-10-LABX-0040-SPS) via the LabEx Saclay Plant Sciences-SPS network. Doctoral fellowship co-funded by European Union, Normandy County Council, in the framework of the ERDF-ESF operational program 2014–2020 and the CMI group Roullier.